A simple and fast 10-minute salad is topped with Honey-Lime Marinated Grilled Chicken for a quick, cool, and healthy lunch or dinner. 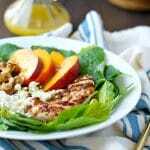 This Grilled Chicken And Nectarine Salad is a forkful of summer in every bite! Okay, so my kids officially start school again on Monday…which means that I have exactly 3 days left of “summer vacation.” That’s why I’m sneaking in ONE LAST summer salad before my seasons shift…and I’m pretty sure that I saved the best for last! I debated whether or not to include the chicken in this recipe, because the original salad was simply a side dish that I threw together on a whim (minus any meat). It was SO GOOD that I knew I needed to share it with you all…especially the Honey Lime dressing. It just brings all of the fresh sweet-and-savory flavors together in one zippy sauce! When I recreated my salad to take these pictures, I wanted to serve it for dinner that night with some grilled chicken for added protein to make it a full meal. Since I was cooking the chicken anyway, and since the Honey Lime dressing is just that delicious, I figured that I should go ahead and marinate the chicken in the dressing for an added layer of flavor. And THAT, my friends, was a VERY good decision. 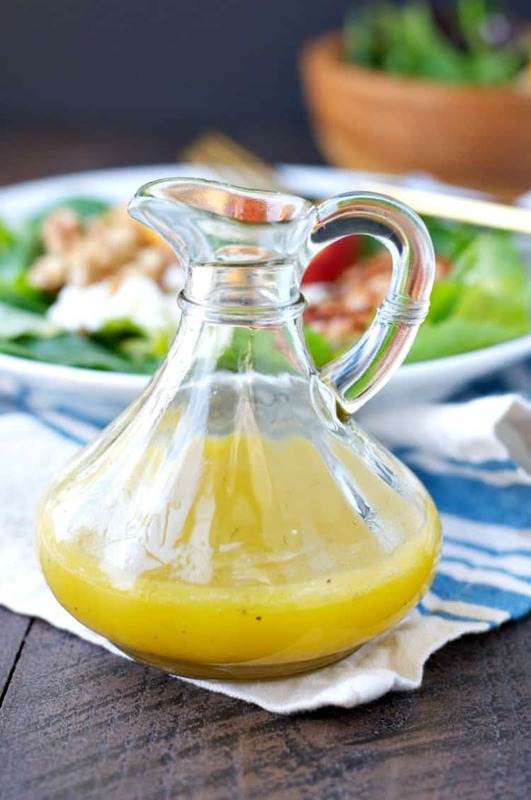 The best way I’ve found to make oil based dressing for any salad or marinade is to place all the ingredients in a mason jar, seal tightly with a lid and shake! This combined all the ingredients together perfect and takes no time at all. Leave it in the jar while you get on witht he rest of the meal or palce in the fridge for later! 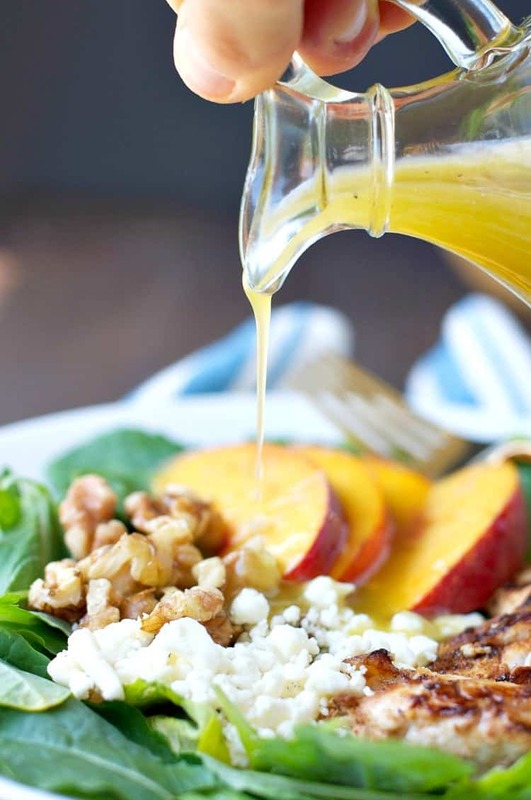 You’re going to want to slather this dressing on just about anything in your kitchen, and it couldn’t be better on top of a bed of crisp greens with crunchy toasted nuts, creamy cheese, and sweet juicy stone fruit. It’s nectarine season for a wee bit longer and we’re going to Make.It.Count! When you’re grilling or cooking any type of meat make sure to take it out of the fridge at least 20 minutes before cooking and let it come to room temperature (or close enough). If you cook meat straight from the fridge when it’s cold it gets a shock and tightens up making it tough and dry, not good! Also try to let the chicken rest for a few minutes after grilling so the juices remain inside and don’t escape straight after cooking. It helps keep it nice and juicy. 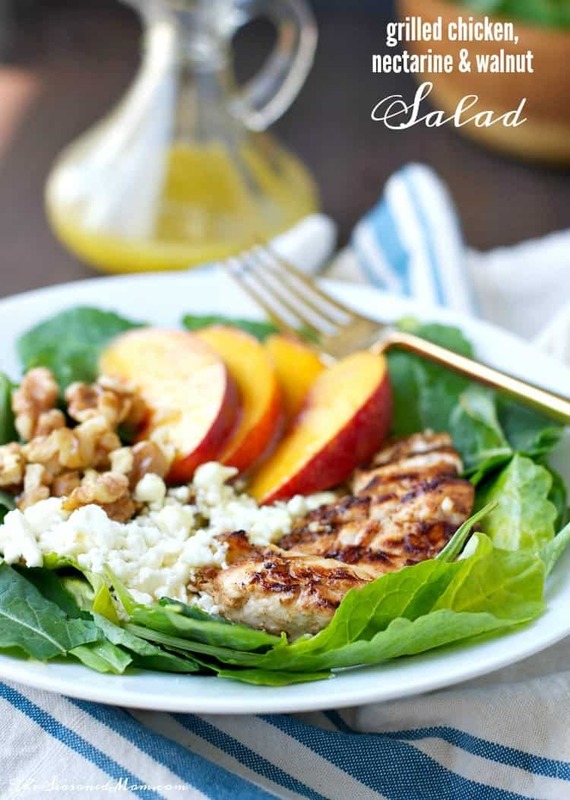 If you’ve tried this Grilled Chicken and Nectarine Salad or any other recipe on The Seasoned Mom then don’t forget to rate the recipe and leave me a comment below! You can also follow me on Facebook, Twitter, Instagram and Pinterest to see what I’m getting up to. Place all of the dressing ingredients in a jar, seal tightly with a lid, and shake vigorously until completely combined. Pour half of the dressing into a large zip-top bag. Add the chicken and toss to coat. Seal the bag and refrigerate for at least 1 hour. Heat an outdoor grill or indoor grill pan over medium-high heat. Cook the marinated chicken for about 3-4 minutes per side, or until cooked through. Set aside on a plate to cool slightly until ready to serve. In a large bowl stir together remaining salad ingredients. Toss with remaining dressing and serve immediately with chicken. Previous Post: « A Week of Fast and Fresh Lunch Box Ideas! Now this is my kind of salad! I’m pretty sure I would eat this year round although it is a lot warmer where I live! What a pretty salad, Blair! I’ve been living off salads this summer (actually, I do all the time) so I’m going to have to try nectarines in mine next time. Sounds so refreshing! Thanks, Gayle. You’ll love them in your salad! The perfect salad right here! 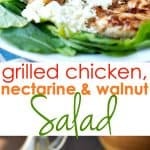 Chicken + fruit+ nuts is always my go-to toppings for salads! Love the addition of nectarines! Thank you, Bethany! I agree — you can never go wrong with the fruit + nut + chicken combo! I loveee adding fruit to salads – as well as nuts and cheeses. But all in one? definitely a winning combination! Thank you, Kristy! I agree — all of those tasty ingredients in one salad is delish! 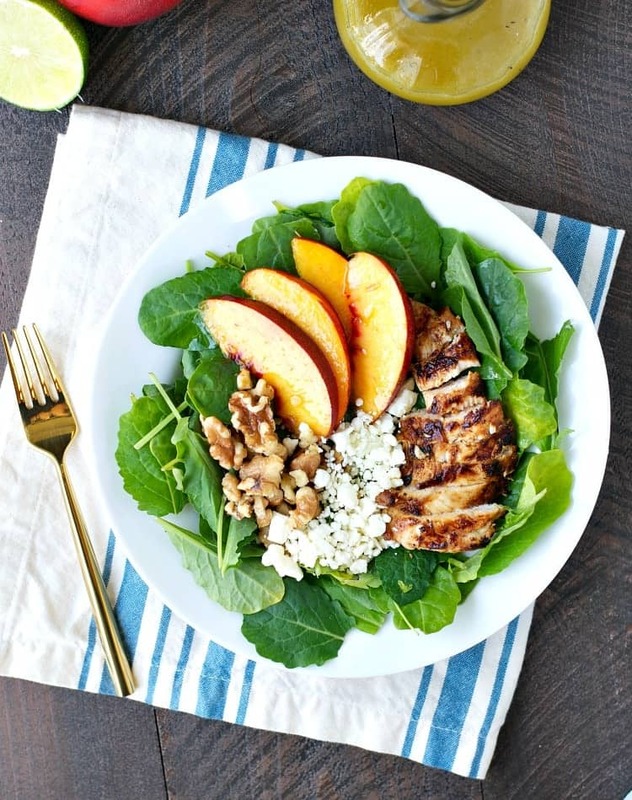 I LOVE stone fruit in salads but would never have thought to add chicken, great idea! P.S that dressing sounds to die for! I love the sweet and savory combo. It’s delish!